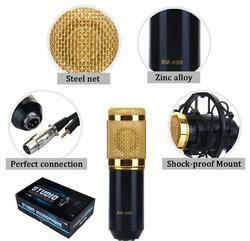 Our range of products include microphones. The BM-800 Condenser Microphone is ideal for radio broadcasting studio, voice-over sound studio, recording. With a cardioid (uni-directional) pick-up pattern that isolates the main sound source and minimizes background noise, highlighting the performance. 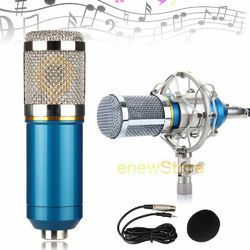 Condenser microphone is using electronic circuit to control the whole, good cardioid pickup output and sensitivity, low noise, wide dynamic range, which is widely used in recording studios, radio, stage performances, film and television post-production works and other for specialized applications. Can not be used with mobile phone and tablet computer. Looking for Vocal Microphone ?